Perhaps nothing is more ingrained in human nature than the urge to travel. To go beyond that next hill and see new and strange places. From explorers and pilgrims to simple vacationers, people have been globetrotting for centuries. Today, tourism is a trillion dollar industry, employing over 230 million people and taking a 5% share of global GDP. Global tourism has been growing at a steady pace for the last few years, recording year after year above average growth. For the first time international tourist arrivals passed the 1 billion milestone in 2012. In 2015 the number of world wide tourist arrivals reached an astounding 1.184 million. That represented a 4.4% year on year growth for the industry, with 50 million more tourist crisscrossing the globe then in 2014. 2015 was the 6th consecutive year of solid expansion following the crisis-years in the wake of the financial meltdown of 2008. For 2016 it is expected that growth might slow down a bit, but still expand at about 4%. Europe is probably the hottest travel destination, with 5 out of the 10 most visited countries being European. 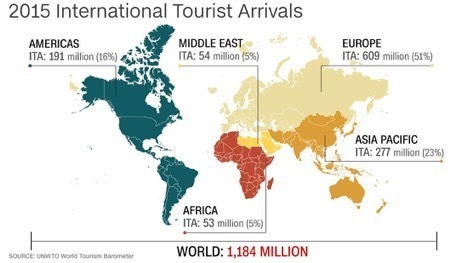 France takes first place with over 80 million arrivals in 2014, followed by Spain, Italy, Germany and the UK. Germany is at 7th place with about 33 million people visiting the country in 2014. So pretty much everybody wants to travel, but not everybody can always afford to. Nothing stops your wandering urges than a limited budget. The Work and Travel Program has become one of the more popular options, for those with limited financial means, or students looking to study abroad and earn some bucks on the side. Numerous countries, Germany being one of them, have bilateral ties that give out Work and Travel visas for a 12 month period. The first thing one needs to work in Germany through the Work and Travel Program is a working holiday visa (WHI). Germany already has bilateral agreements with multiple countries, such as: Australia, Brazil, Chile, Hong Kong, Israel, Japan, South Korea, Mexico, New Zealand and Taiwan. Anybody between the ages of 18 and 30 can apply for a 1 year working holiday visa. As Germany is part of the Schengen Agreement, anybody that has acquired the working permit is free to travel for up to 90 days to the other 25 countries that make up the Schengen Zone. Besides the WHI for the first 3 months the applicant must prove that he has a financial cushion, in case of emergencies, of about 250 Euros per month. Citizens of Canada, South Korea, Taiwan and Hong Kong need to submit their applications before they come to Germany at their local consulate or embassy. As for working travellers from Australia, New Zealand and Japan, they can acquire their WHI shortly after arriving in Germany. So now that we have cleared the labyrinthian workings of the bureaucracy, let’s talk about the elephant in the room: language. Anybody trying to work in Germany will require at least a rudimentary understanding of German. Although the range of work you can apply to is quite large, most people in the work and travel program opt to find employment in the tourism industry. During the holiday season, hotels, bars, restaurants and clubs are always looking for extra workers to help out with the high demand. Working in areas where you will be dealing with foreigners, will make your extra language skills highly sought after. If tourism isn’t your thing, then you can always look for some office jobs, call center operators that know English are always looked for, as are secretaries. Or you could try something more interesting and actually apply to work on a farm (Bauernhof), or on a WWOOF “World Wide Opportunities on Organic Farms”, a community and volunteer based network of organic farms. There is also the possibility of trying for an internship at a German company. Many companies both big and small offer internships for students and so called Ausbildungsstellen (apprenticeships). Although one should be careful, because most internships are not paid. Yet at the same time gaining some needed experience at a German multinational and learning a little bit of German can definitely boost the quality of one’s resume. If you are confident in your skills you can also apply for a residence permit to remain in Germany. Anybody from the EU, EEA, Australia or the Americas, just to name a few places, can apply for a residence permit, provided they find long term work. 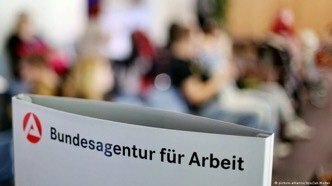 This permit must be approved by the government employment office – Bundesagentur für Arbeit. Before embarking on an epic journey to the land of Goethe, Wagner and currywurst, one should make some preparations. In case you are not quite comfortable with the German tongue, try taking a couple of German courses, to increase your ability to communicate with the locals. Even if you don’t become an expert, feeling relaxed when speaking the local language can go a long way. Also try to find out what kind of positions are open in the region you would like to visit. Germany, like any other country in the digital age, has tons of online job pages. Such sites can be both useful in giving you an insight into the local job market, before you leave and a good place to search for long term employment, if you wish to stay in Germany. 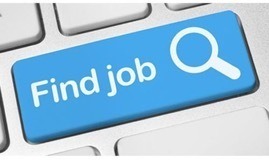 Sites like Monster and Stepstone are the behemoths in the room, but there are other job portals like: Jobvector, Jobware or Jozoo, that can provide you with lots of information about CV’s and useful tips about interviews. As is the case with any journey, preparation can be key in providing you with the best experience.